Winner of this first-time category, Fruit Fixed began as a basement business for Justin Carroll, who graduated from East Carolina University with a degree in political science and history. But as a lifetime entrepreneur who used to sell his own drawings of famous athletes and ran a textbook business in college, Carroll embodies entrepreneurial spirit. Today, with 11 employees and three locations, Fixed Fruit — named because the original phones it repaired were BlackBerries and Apple’s iPhones — has repaired more than 20,000 shattered screens. “That’s phones, tablets, everything,” Carroll says. 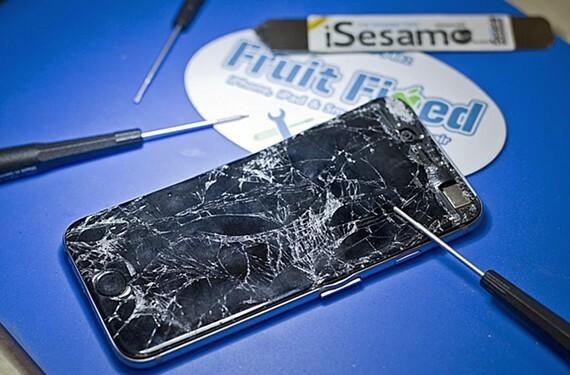 Because a repair costs an average of $120, compared with a new smartphone for $400 or more, “we’ve saved people in Richmond $3 million,” he adds. Soon, Carroll hopes to expand Fixed Fruit to Virginia Beach and the Raleigh-Durham area.